I have been many researching and found a lot of articles with the same title, and today i will tell you details, how to do good (SEO) for your business. good online base (SEO) is a necessity for an very effective Page Rank, internet marketing and sales enhancement. so seo is directly effective to your business. if we use a little your common sense, is required even more and world where internet is actually ruling the business world on internet. No, I am not saying that (SEO) is still the same as the previous practices. It has changed a lot in the past few years after 2010. and Google has done is that it has started penalizing (Low Quality Content) and quantity based SEO Tips. also keywords and website "Link Building" and others diverse such as mobile phone optimization. Website/Blog Link building has now suddenly came into focus once again, as Google is repeatedly trying to stamp out black-hat SEO practices. So the trend now is on building legitimate back-links rather than buying them off a cheap package. Even so, Google Penguin is still pretty touchy, and you need to build links with care. Today, not only quality content, links are required to lead but also a strategy to build your business image. Since the launch of Google authorship where the content is linked to the authors’ profile, the ranking ideas has been changed. Blog commenting are very common technique, you also use this to build your web link. Get free links, some sites are listed below. mobile users are exceeding every other day. Mobile phone devices are best ways to reach wide spread of your customers. Heard about Google,s Hummingbird updates? It has got difficult than ever before to rank well without mobile optimized strategy. The responsive design is must but not enough. You need a different and effective strategy for mobile phone devices. Look around you and see how many are not using cell phones? You will hardly find anyone. Since it is very obvious, then why not do proper investment on this side of search engine optimization. Social media, importance to tell your SEO Company to make a subtle and tested plan for your social network. Make sure your blogs have (built) in sharing options to reach Google and other (search engines) notice. The title is the king of your content. It is the first thing web surfer looks at. It must be concise, informative, and eye catching. Google displays only up to 66 characters of a title. Therefore, it's a good idea to keep your titles short. How To Make Money Online ...:::: Earn Methods ::::... Meta descriptions are concerned, Google no longer uses (Meta Keywords) in ranking criteria. So, Meta descriptions is still just as important. Whenever you share your posts on social media, the meta description appears next to the title on your post. just Keep it concise, and give a short description of our post in a few lines of (Meta Descriptions). Sitemaps are very important, because sitemap is a list of all the pages present on your website and blog. For search engines to index all of your all pages, you need to create a sitemap of your website. search is performed based upon keywords. you need to find out what keywords people are looking for. It would be such a waste if you have a good content but few keywords to take your post into a search list. So you just using the maximum number of keywords in your posts. Interlinking important part of SEO. link your new posts to the already existing relevant old ones. because when a search engine are look many links, it knows that the website has a lot of content. This is very useful tip. Give your images meaningful file names before uploading them to your website/blog. For example, instead of using a name like (image2072) for the intro image, I have named it "MyBloggerToolsSEO". 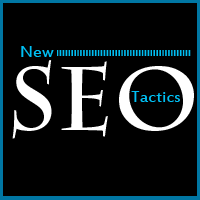 This helps in better search ranking and is a good SEO to your site.